As we seek to pass on the faith to our children, our friends, our younger spiritual "children" in the faith, we must remember Paul's example. 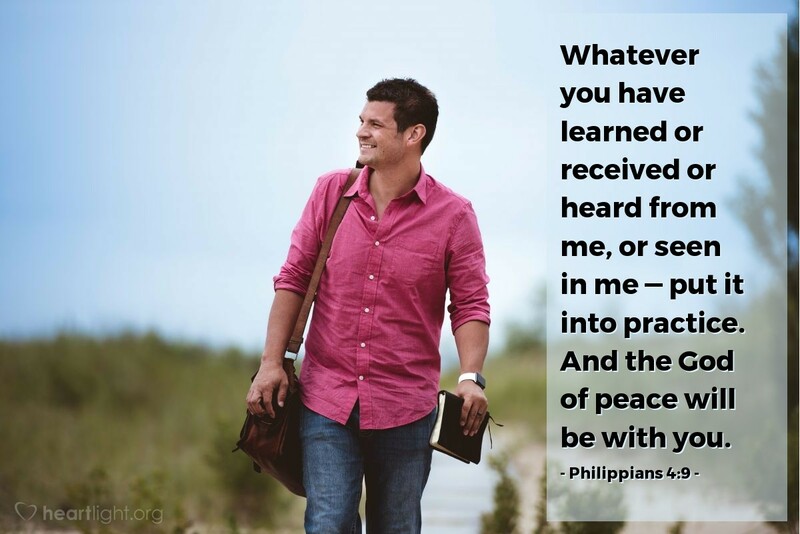 He taught the truth; passed on the truth that had been revealed and passed on to him; he displayed that truth in his life; Paul then called on the people he was mentoring to put this truth into practice in their daily lives. This would enable them to fully experience the presence of God in their lives and find the peace that God so longs to give them. Father, help me be a better teacher in word and deed as I seek to influence those around me, those who need my help in their Christian walk, and those in my family seeking to grow in your grace. In Jesus' name. Amen.